There are many lists of “What you can do with a degree in sociology” out there, but we have yet to see one listing “mayor of Budapest.” Yet that is what Demszky Gábor (Gábor Demszky in American name order) did for 20 years with his degree, after a very different career until 1989 publishing samizdat (independent) literature in communist Hungary, challenging the Soviet-installed regime. His life is at the heart of another world-historical change too, a less hopeful one: the decline of the Liberal Party and Hungary’s recent autocratic turn which has led to more than 200 constitutional changes designed to keep the Fidesz party in power. James Jasper, who teaches at the CUNY Graduate Center in New York, interviewed Demszky at the Netherlands Institute for Advanced Study, where they were both fellows. Demszky is currently at the Woodrow Wilson Center in Washington, D.C.
James Jasper: Let’s start with your life as the largest publisher of forbidden literature in Hungary in the 1980s. How did you do it? Gábor Demszky: After spending time in Poland, where I learned the techniques of silkscreening, in 1981 I set up an independent publishing house. A few months later, during the days of General Jaruzelski’s coup d’état in Poland [which outlawed the emerging Solidarity trade union]—as an irony of fate—our first publications debuted. We published about 130 titles and used hundreds of tons of paper a year. That is not easy to hide. We printed the books and a newsletter at the beginning on a silk-screen frame, one page at a time. We printed anywhere from two thousand to ten thousand copies of most books, and distributed them through personal networks. In the 1980s, in addition to oppositional politics and the independent (if illegal) press, an independent, oppositional literary and artistic life began to bloom again, mainly in Budapest. JJ: I assume Hungarians remembered the failed revolution of 1956 and that they were also influenced by Solidarity as well? Solidarity grew to ten million members in 1980, and even when it was outlawed it still could mobilize large demonstrations. GD: It was clear from 1956 that Central Europe would need to free itself as a bloc from the Soviet totalitarian system—not one country at a time, or else it would never become free at all. It was also clear to us in Hungary that Poland, having by far the largest population and territory, and preserving the independence of some of its institutions, even in the totalitarian system, would have a decisive role in the region. Indeed, the Hungarian revolution of 1956 began as a demonstration of solidarity with Poland’s 1956 protests. The Prague Spring of 1968 influenced the students’ demonstrations in Krakow and the economic reforms in Hungary; in August some leading Hungarian reform Marxist intellectuals publicly protested against the Soviet intervention. In the middle of the ‘70s, the establishment of KOR, the Committee for the Protection of Workers, had an influence (albeit within a limited circle) on the intellectuals of the opposition. Soon after, taking a stand for Charter 77 in Czechoslovakia [led by playwright Václav Havel] enabled the Hungarian democratic opposition to finally crystallize. The 40 or so signatories of the statement of solidarity of 1977 became the core. In spite of the expected repression, its members took a stand for each other and for human rights. By 1979, 270 of us had signed our statement protesting against the lawsuit brought against Havel and his colleagues. These mostly young people were the foundation for the independent institutions, the press, the flying university and the fund for the support of the poor. JJ: So each country’s dissidents watched and learned from each other. Did you have a favorite book among those you published during this period? GD: Adam Michnik’s 1976 study titled New Evolutionism had the largest impact on me. In addition to The Gulag Archipelago, this short essay may have been the most important samizdat text translated into Hungarian. Michnik goes beyond the traditional dilemma of “reform or revolution,” and recommends setting up structures parallel to the official Communist institutions. The establishment of independent public opinion, the creation of independent organizations: a movement that could not be integrated. We did not want to “overthrow the system,” but to stay outside and openly demonstrate that we—the society and they, the party—were two separate worlds. The objective: political emancipation and self-organization of the citizens, as well as controlling the government. In the course of history few political concepts or projections became self-fulfilling prophecies. Michnik’s very much did. 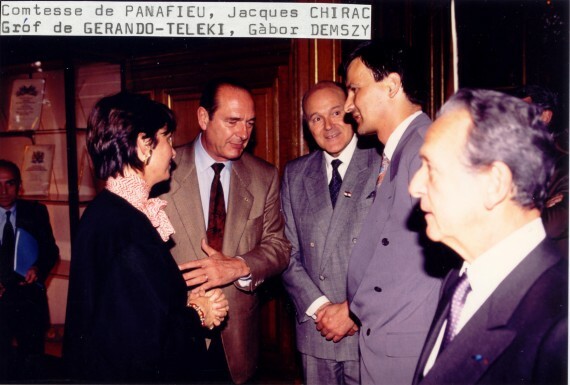 Demszky (second from right) with Jacques Chirac and other politicians, Paris, 1992. JJ: So you moved from being an activist challenging the system, and became a politician in 1989-90, after the abrupt fall of the communist regime? GD: Yes, during the year when the change in the political system took place as a negotiated transition, dissidents had to become politicians. This transformation, which was marked by certain compromises, was endorsed in the parliamentary elections in the spring of 1990 and the local government elections in the autumn of the same year, making it possible for the Budapest Council to be transformed into the Municipality of Budapest, elected by the city’s inhabitants. The council’s executive committee, controlled by the omnipotent party organs, gave way to the autonomous General Assembly of Budapest, which had the authority to make decisions affecting the lives of the city’s residents. At the end of October this multiparty assembly elected me the candidate of the SZDSZ (the Hungarian liberal party) to be mayor of Budapest. When the Soviet system collapsed, and the empire and its entire sphere of interest disintegrated, there was no longer any external factor to attribute responsibility to, either as a scapegoat or a backdrop legitimizing decisions. We ourselves became responsible for everything. When you are a protestor, you can follow the ethic of ultimate ends, doing what you know is right. When you are a politician, you have to pay attention to the consequences, all of them. You are judged by the consequences of what you do. JJ: So you do remember something from your sociology training, you remember Max Weber’s concept of the ethic of ultimate ends! GD: Yes very much, first we had to learn the spirit of this new relationship, often quoting Max Weber, through our own integrity, and we had to behave in a new way in new circumstances. Building the frameworks, the methods and institutions, for this was the first and most urgent task of liberal urban politics and it was quite successful for two decades. IhavetoaddthatIwasamemberofthe Liberal Party, which emerged out of a network of these free initiatives. We were liberal in the American sense of support for those in need, but we also believed that free markets were a key way to build a new system. 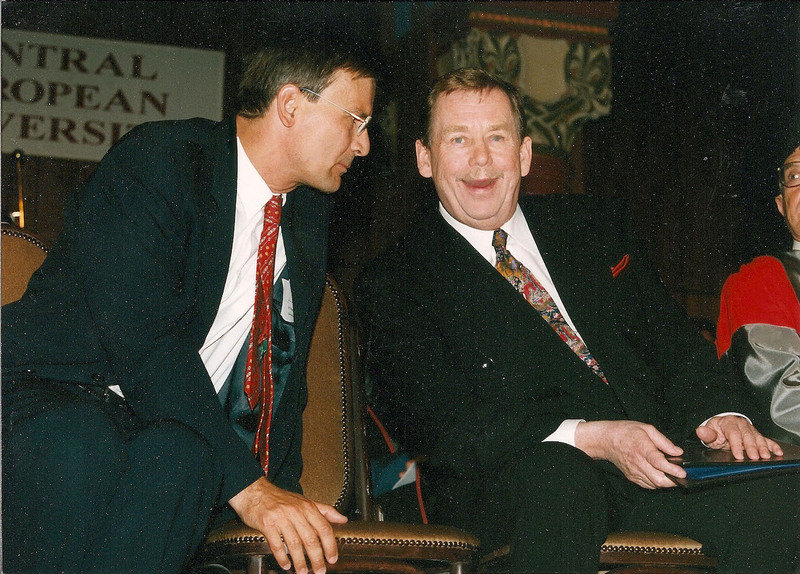 Demszky (left) and Vaclav Havel in Budapest, 1999. 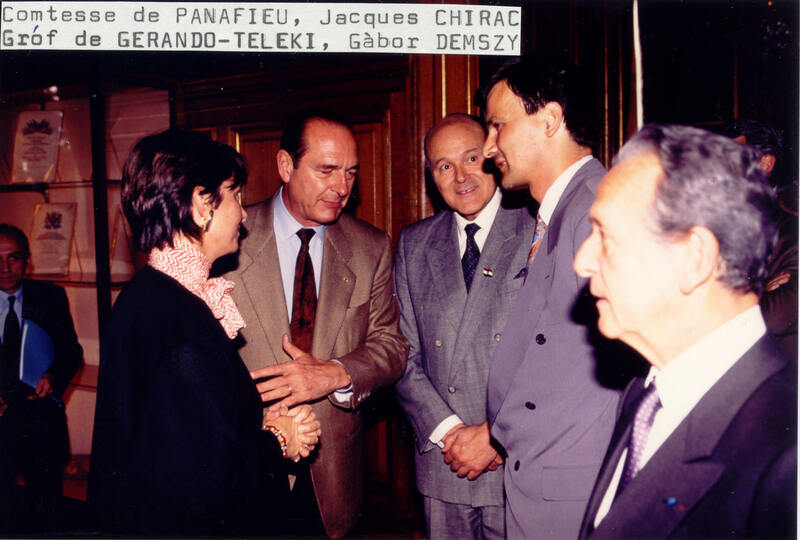 JJ: After briefly serving in parliament, you were elected mayor of Budapest in 1990 for the Liberal Party. What do you consider to be your most important achievements as mayor? GD: Our experience in Budapest, which we called the Budapest Model, carries important messages and techniques in the field of urban planning. With these techniques the running of Budapest became more effective, balanced and stable. The city’s credit rating improved, which significantly increased the financing options for developments. The financial management of the capital became a dependable instrument of urban policy. JJ: After 20 years in office, you lost in 2010 to a candidate from Fidesz, the conservative party that now controls Hungary. So let’s talk about Hungary today. With only 53 percent of the vote, Fidesz took 68 percent of the seats in the 2010 election, enough to change the constitution. How often have they done that? What kinds of changes have they made? 2010 with a promise to strengthen civic liberties. Today he is openly distancing himself from the ideals of Western democracies, calling them obsolete. His ruling coalition systematically demolished the constitutional guarantees of separation of powers, removing all checks and balances that restrain the executive. An autocratic system is in the making in Hungary. The first victim of these restrictions was freedom of the press. An omnipotent authority was created, composed solely of governing party delegates, empowered to supervise not only broadcasting, but also the print and online media. The public service media were re-nationalized, and obliged to only use news provided by the state press agency. This one-party authority arbitrarily imposes massive fines, and can deny to media outlets the renewal of their licenses. This in turn has already triggered media self-censorship. The Constitutional Court, the most potent safeguard of the rule of law during the past 20 years, has faced a similar fate. First, its scope of competence was curtailed, and later the court was expanded, with five new justices appointed by the ruling parties. JJ: What are the prospects for democratic change? Is a backlash against the right likely in the next election, in 2014? GD: The ruling party justifies its diktat [an authoritarian decree] by pointing to its two-thirds legislative majority in the 2010 elections. But its actions fly in the face of the Copenhagen Criteria, which established the EU’s basic principles of democracy and the rule of law. In our new Europe, fundamental rights may be decided upon only by securing widespread legitimacy, by striving for consensus, and by exercising self-control. The new media and electoral laws, together with the new constitution that is cynically adjusted to accommodate these new oppressive laws at every turn, will prevent millions of Hungarians from exercising their fundamental right to make an informed choice. The Hungarian government has nationalized local government-owned schools, or turned them over to churches; replaced elected school principals with appointed ones; radically abridged parents’ rights; and indoctrinated first-time voters in schools with compulsory textbooks. For the last two years, the foundations of democracy have been systematically demolished. Now Fidesz seems bent on establishing a permanent hold on power, with overlapping measures to suppress all opposition. A free and fair election this year may be Hungary’s last chance to return peacefully to constitutional democracy and the rule of the law. James M. Jasper is at the Graduate Center of the City University of New York. He is the author of Getting Your Way: Strategic Dilemmas in the Real World. 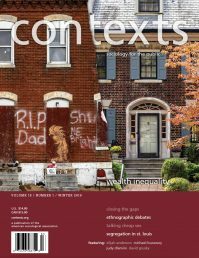 He is a former editor of Contexts. 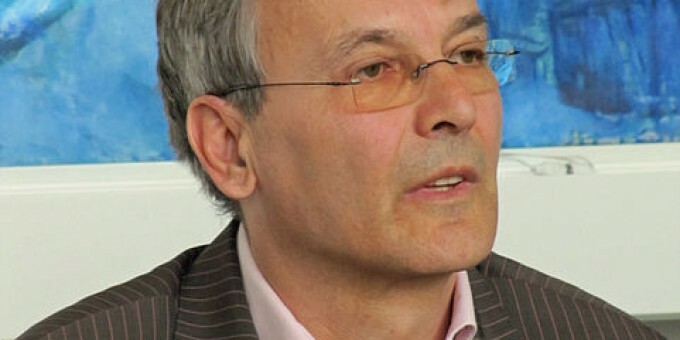 Gábor Demszky is a Hungarian sociologist who was was the Mayor of Budapest from 1990 to 2010. Demszky is currently at the Woodrow Wilson Center in Wash- ington, D.C.